This post is a compilation of information and quotes from an article about Ruth Johnson in the San Francisco Examiner, January 21, 1962, an article in a local paper (name and date unknown) in 1940, Wilson College Alumnae Quarterly class notes, and background information directly from a biographical note from Stanford University Archives, which houses the personal papers of Ruth's husband, Eric Clarke. Ruth Johnson and her sister Margaret came to Wilson College in 1908 from Wei Hsien, Shantung Province, China. Their parents, Dr. Charles Fletcher and Agnes Elliott Johnson, were Presbyterian medical missionaries. ﻿Ruth and Margaret attended Miss Jewell's School in Shanghai, later attended briefly by Pearl Buck. They graduated from Wilson in 1912 and Ruth returned to Shanghai to teach at Miss Jewell's. In 1916 Ruth began teaching at the Peking American School where she met Eric Clarke. Clarke was born in Tientsin, China to British missionary parents. He attended the Chefoo School where Henry Luce and Thornton Wilder were educated. Ruth and Eric were married on June 21, 1916. The couple spent 16 years in Peking. During this time, Ruth began collecting jade and other art. In 1939 a selection of the most precious pieces was sent to New York, to the Arden Galleries on Park Ave. for a benefit showing for Chinese war orphans. After the exhibit, because the Clarke’s were planning to retire shortly, the collection was left in New York storage. Alumnae Quarterly (AQ) May 1940: "Mr. Clarke was interviewed by one of the local papers in Pensacola, Florida, while on furlough. He stated that the war-changed way of the world has not so greatly changed life in China, and the International Settlement in Shanghai holds its charm, and men and women assembled there from many nations find life good, and oft time gay, as life in Shanghai has been for many generations. The Clarkes plan to return to China in May (1940)." Then in December 1941, the Japanese occupied Shanghai. The Clarkes were taken to a military internment camp, where they were to spend 33 stark months. Their possessions were reduced to one trunk of clothes and a bed. Mrs. Clarke managed to secret two fine small pieces of jade in a sandwich. AQ November 1947: "Ruth Clarke, and her good husband, Eric attended our Reunion at which time they thrilled us all with the grim story of their war experience in China where they spent thirty months in a Japanese Internment Camp. Space here is not available to give much of her account but be assured their predicament was unthinkable. Indescribable hardships were forced upon them but they made the very best of conditions, even organizing community life where every person was commandeered to some vital job. Ruth was made chief of police. Can’t you just see her? The great lack of food, the separation from the outside world and its news, the sickness, lack of medicine, and supplies and, at times, insults and near blackout of hope made their experience desperate, yet their faith, ingenuity, vitality and courage carried them through." From the biographical note from Stanford: "Among the nearly 1800 interns at LungHwa were men and women from all professions and backgrounds. Although spirits were high during the first season at the camp, morale worsened during the winter - food became scarce and poorer in quality and the stoves which the Japanese installed on each floor of the ten dormitories were never lit. "The cubicles they occupied were 4'8 by 22' long. Despite the difficult conditions they encountered at the camp, the Clarkes and their fellow inmates managed to maintain a high level of personal development which is reflected in the many activities enjoyed at the camp: lectures, plays, musical productions and many other kinds of intellectual stimulation. "One of the most amusing highlights of their stay was the development of a game called Dictionary Please. Because of their limited reading material, the Clarkes designed a game which relied only upon the dictionary they brought with them and their active imaginations. The game was so successful that it became a partial livelihood following their return to America in 1946." Eric Clarke's sister Agnes, was with the China Inland Mission for 47 years. She was evacuated with others during World War II and continued to serve at Mission Headquarters in London. 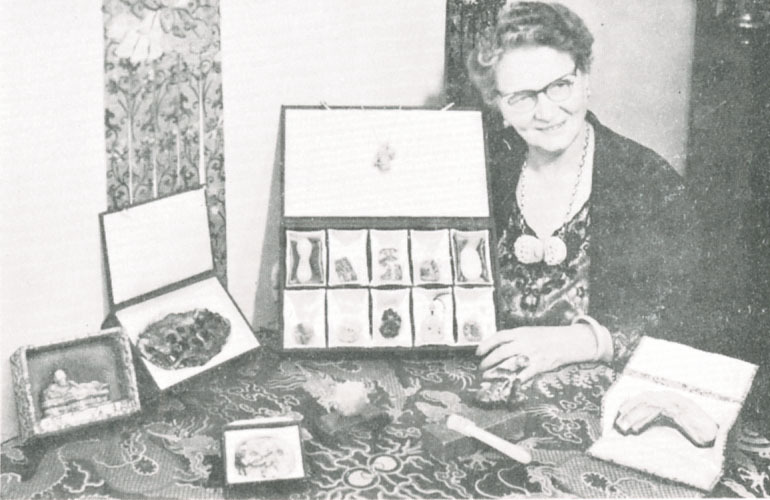 From the San Francisco Examiner: Ruth began collecting jade as a young wife and gradually became very knowledgeable. Over the years, she added to the collection, selling lesser pieces to acquire better ones. She amassed a collection beginning from the Ming Dynasty in 1366 through the end of the Ching dynasty in 1911. When Ruth and Eric were preparing to go to the internment camp, she hid two valuable jade pieces in a sandwich. One was a phoenix which she still had in old age, the other, a dragon, paid their passage on the “General Meiggs”, when they came to the US in 1946 after the war was over. 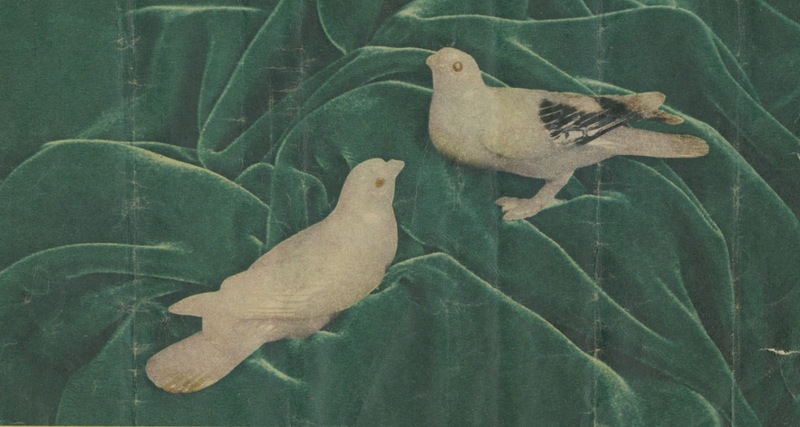 Lavender jade pigeons, with insets of amber as eyes, date from Ch'ien Lung period (1736-1796). 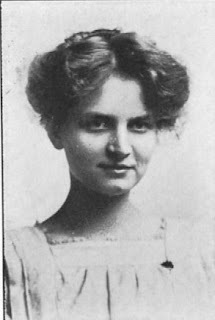 Ruth's sister, Margaret Johnson Corbett, returned to China after graduating from Wilson College - also in 1912. She was a relief worker for refugees during the war from 1914-1918. Margaret wrote on an alumna survey from 1942: "Teaching in China, one had to be ready to teach everthing. I had pupils studying for the Cambridge and Oxford examinations. I had one pupil who studied Greek with me for two months and passed her entrance exam to Wellesley. I also taught French and mathematics, history - one has to be a Jack of all trades!" Alumnae Quarterly May 1949: "A letter from Margaret Johnson Corbett detailed a description of the dream house which her husband designed and built. 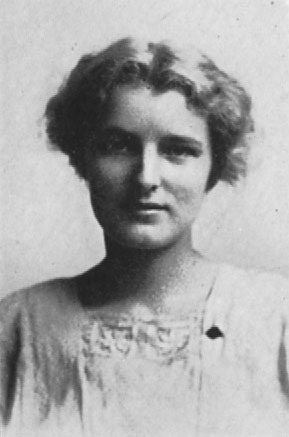 She reports that sister, Ruth Johnson Clarke, and husband, Eric, are settling in Portland. Ruth now being an American citizen again, and Eric is in under the proper visa. What a relief for Ruth to be safe as an American housewife, instead of the family here wondering about their status in worn-town China!"